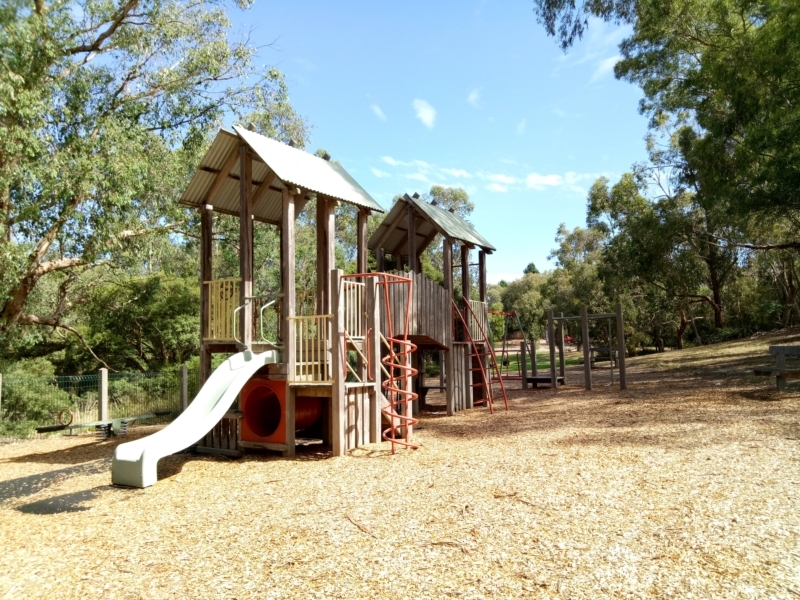 This reserve in Vermont has it all; open space, shared trails, feature ponds, picnic facilities and playgrounds - all within a natural bushland setting. 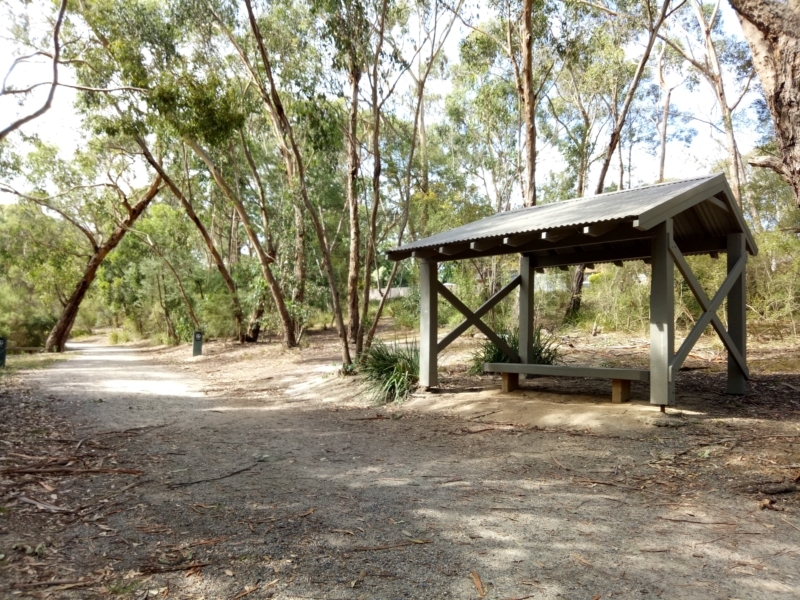 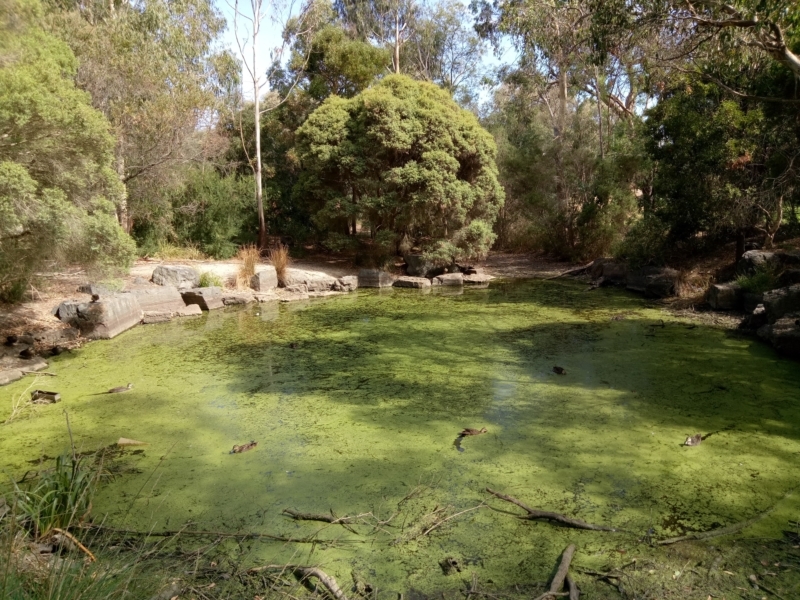 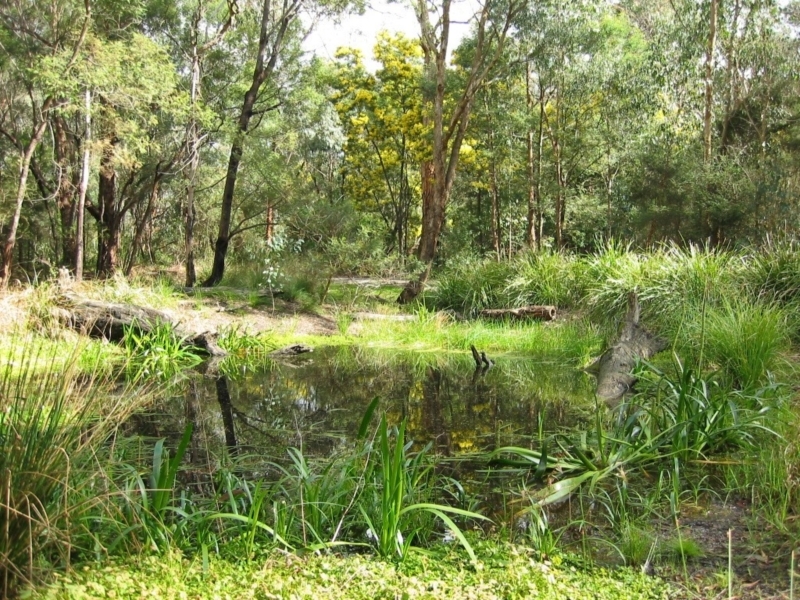 Named after the distinctive sound of the bellbird, this 17.5 hectare reserve extends 1.4km in Vermont and consists of open space, shared trails, feature ponds, picnic facilities and playgrounds, all within a natural bushland setting. 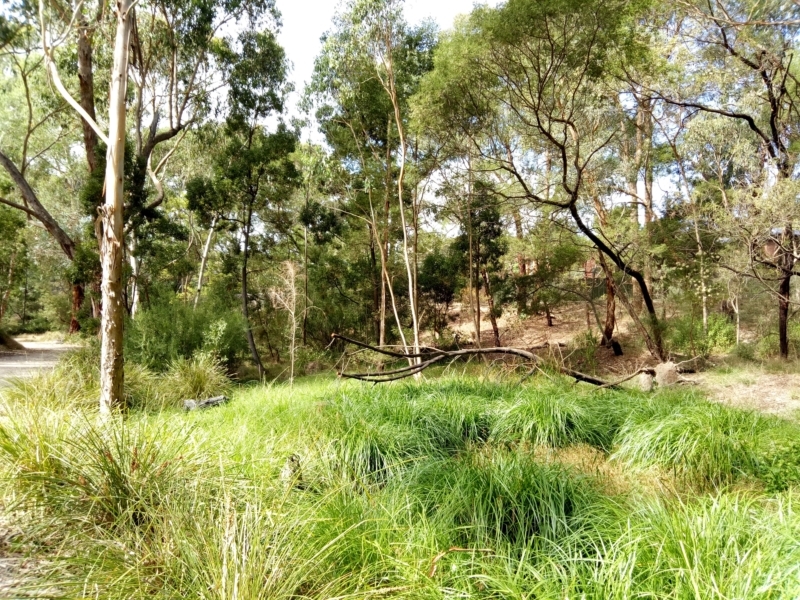 Lush green, in the middle of the summer dry. 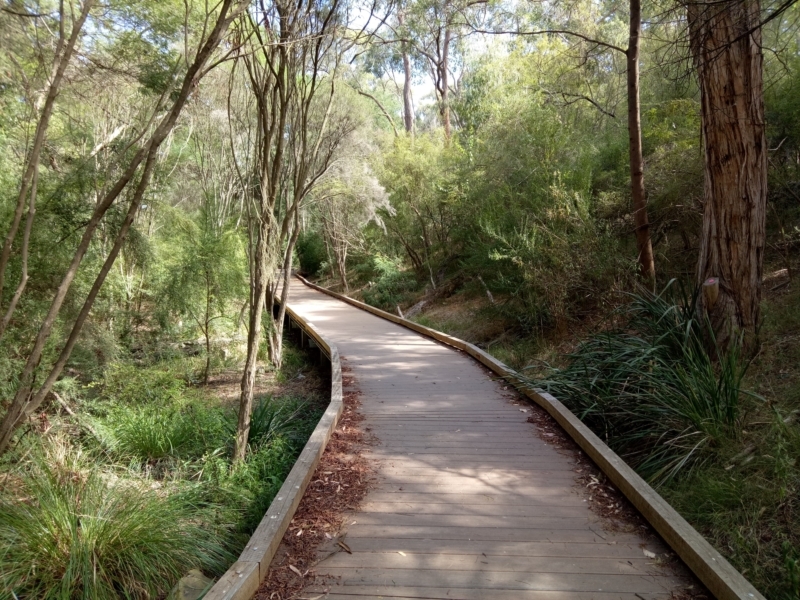 There's some lovely boardwalk sections. 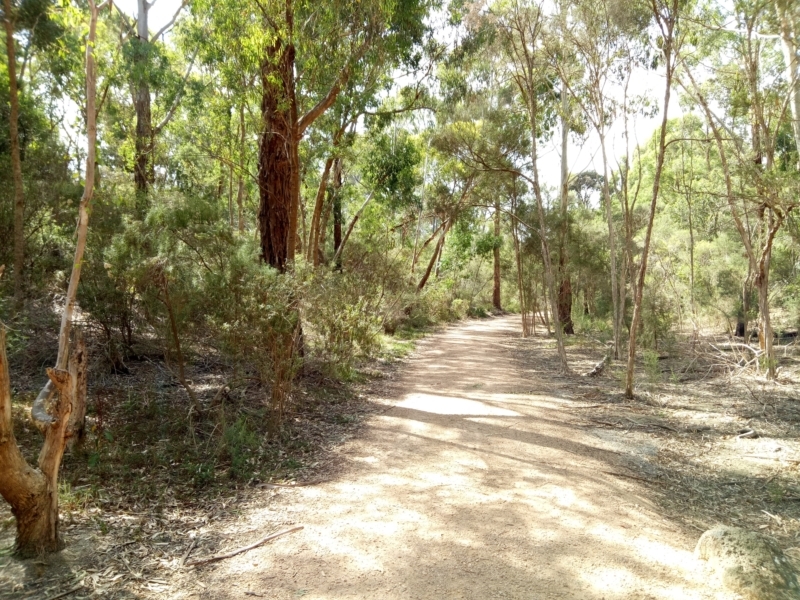 Lovely bush trails, right near the back fences.